The wait was finally over for the start of the Ridley BikesScottish Cyclocross Series, held at the challenging and for once dry “Tosh” venue. The traditional course boasted a much more in the way of switchback sections as well as having a lot of pre course work done on the famous bomb-hole and river crossing sections of what is still regarded at the toughest course on the Scottish scene. 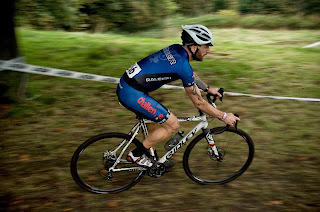 Preceding the the main events were a clutch of Kids and Youth races with full house fields throughout. 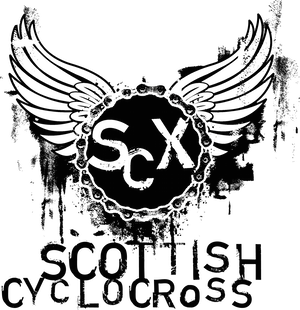 The Scottish Cyclocross scene is now bulging with young talent, all eager to hone racing skills and learn the art of Cyclocross racing, youth cross is finally coming of age. In the Under Eight class spoils of cross war went to Gavin Gronowski from Findlay Turner, with a great ride from Isla McCutcheon placing a strong third overall as well as claiming top spot in the girls class. In the Under Twelve Class honours were fought out hard and fast with Jamie Johnston holding off Hamish McClaren and Callum Reid, with top girl Niamh Docherty riding well to place ninth overall in a field of sixty four riders who finished the tough course. In the Youth Class Joe Nally held an impressive fifteen second win over Sean Flynn with John Macleod taking the last podium step in the Bike Love supported classes. With a new structure to the Womens, Junior and Veteran 50 Class having it's own race to showcase themselves around a still fast but slippery parcour, from the gun it was the hard charging Junior riders who took hold of the early laps with stand out riding from Harry Johnston (Thomsons Cycles), Connor Nally (Hardie Bikes) and Edinburgh Road Club's Ben Forsyth. This trio were stalked by the sprightly old fox that is Brendan Roe, who simply destroyed the fifty plus class from the get go, and he was soon in amongst the young crew gobbling up places. While the all of this was going on, Maddy Robinson (Velo Club Moulin) had already gapped the Women’s class, and showed now ill effects of having raced at last weeks Three Peaks Cyclocross last week, and soon had a good buffer on the diminutive pairing of Thomson's Cycles backed Isla Short and Morven Brown and her Dales Cycles mount. With the course now starting to thicken with some light rain, Johnston powered to a fine win from the evergreen Roe with Nally third across the line. Robinson proved she is going to be the woman to watch will a solid win over Short and Brown with a commendable ride from track tandem pilot Lyndsey Carson (Thomsons Cycles) showing good form on her single speed crosser. The Veteran 40 Class proved to be a a real shake up with the Leslie Bikes trio of Gary McCrae, John McCafferty and Franco Porco having a real fight on their hands from the hometown Glasgow United crew comprising of the super slick James Melville, Stevie Jackson and Hans Fourhaug all mixing up the race order in the early laps. Melville dealt with the now choppy and treacherous course with style and had built up a ten second lead coming into the bell lap over a tenacious McCrae, who looked like having to give best to a home win. 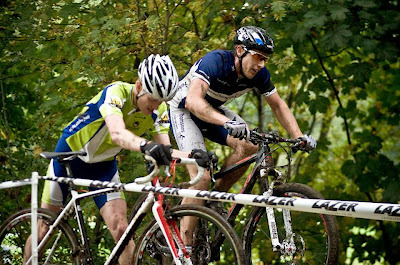 However as the last lap unfolded, Melville shipped his Chain and McCrae pounced on him to take a first Ridley Series points winning haul from James, and his Glasgow United team mate Stevie Jackson. Further down the order of note was the ride of Colin Bain from the EKRC who will be a man to watch in the next few events placing a fine sixth. The final race of the day boasted a seventy strong field in the Senior class, and despite the absence of some of the main players, still racing abroad, holidaying or catching flights back to the UK, you still had a strong field to take on the curtain closing Auchentoshan course. 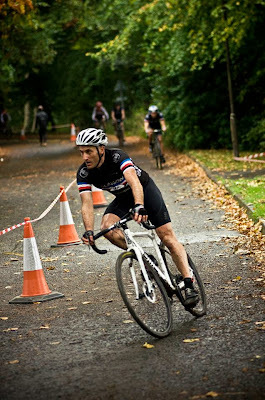 From the off, Roger Campbell Crawford (Thomson Cycles) put on a stellar display, and although on his mountain bike, managed to set up an early lead over his drop barred pursuers. Despite his cohorts dragging the gap back in the later laps, he had the situation well under control to score a fine win to start his cross campaign. 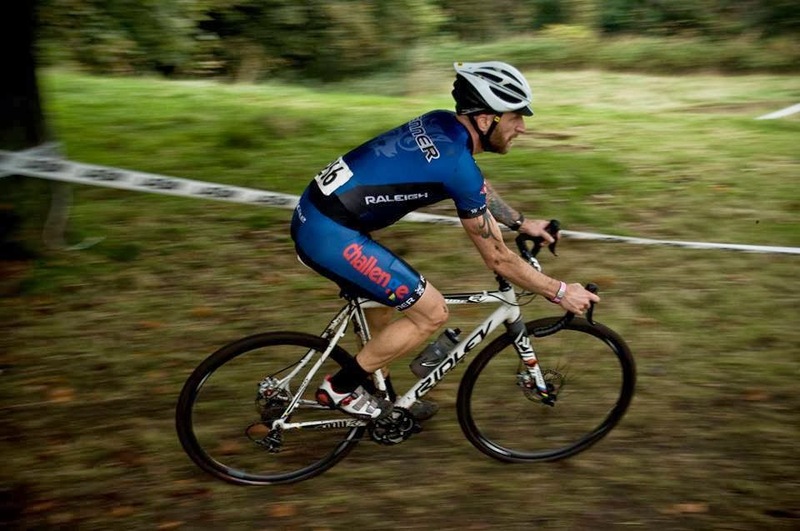 Impressive rides however came from Velo Club Edinburgh single speed rider Colin May who made short work of a great ride from Steve Halsall (Velo Club Moulin) fresh from a 12th place at the Three Peaks and a powerful performance from Velo Sportive main man Sean Clark. Round two of the Ridley Scottish Cyclocross Series takes place at the picturesque Callendar Park in Falkirk in two weeks, and due to the interest is the series, online entry is strongly advised to guarantee a ride on the day. Glasgow United CC would like to thank all the club members who helped prepare the venue, Ridley, Lazer Helmets and Madison, who have truly brought a taste of Belgium to Scottish Cyclocross. as well as event sponsors on the day: Bike Love, Thomsons Cycles and the Grange Kitchen.